Note 1: This is a list made by average kitesurfers for average kitesurfers, the details are testimonials of guests and friends. Hence some datas may be approximate or maybe a little inaccurate. Note 2: Also take into consideration that I am not cataloguing every wave points here. Each place can either be a point, an area, an island or even a country… Being so general it is impossible to give a complete insight for each destination. Colaborate: Please send me your comments to update the list and improve it. Thanks! A perfect day exists but no destination is perfect. What makes the beauty of wave riding is the search. There is no ranking order here. The main kite beach, Silver Rock, is pretty small and gets crowded in the afternoons. Freights-Bay and Bathsheba are the two main wave spots: Freights is for beginners while Bathsheba is more for experts. The probability of wind has proven to be higher in Barbados than in the other Caribbean islands. If you want more info read the Pars’ testimonial of the 7th of March, that you will find in the comments section at the end of this post. definitely put the Fijis on your bucket list. There is probably no need to mention Ben Wilson luxury kite camps, it looks to be perfectly operated. But there will be much cheaper alternatives too if the flight duration and cost is not already an obstacle to you. when there is no wind, you SUP, surf, dive or fish. March to November / June to August smaller beginner wave. Northern Portugal and close-by Spanish coast are famous for serious side-shore winds and powerful beach break action. The water is cold but consistent conditions and an easy going lifestyle makes up for it. You can kite a large number of beaches and with a little local knowledge you could be alone in the water. Close by Porto offers all the touristic and cultural interest of a major European city with endless wine tasting opportunities. 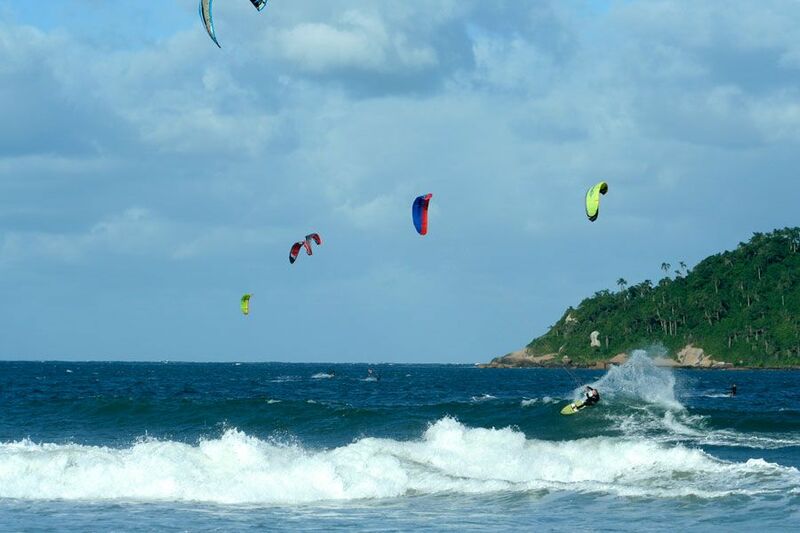 Every kiter knows the “Nordeste du Brasil”, but few choose or even know about beautiful Florianopolis in the south of the country, this island connected to the main land with a bridge is the Brazilian surf mecca where it is also possible to kitesurf. 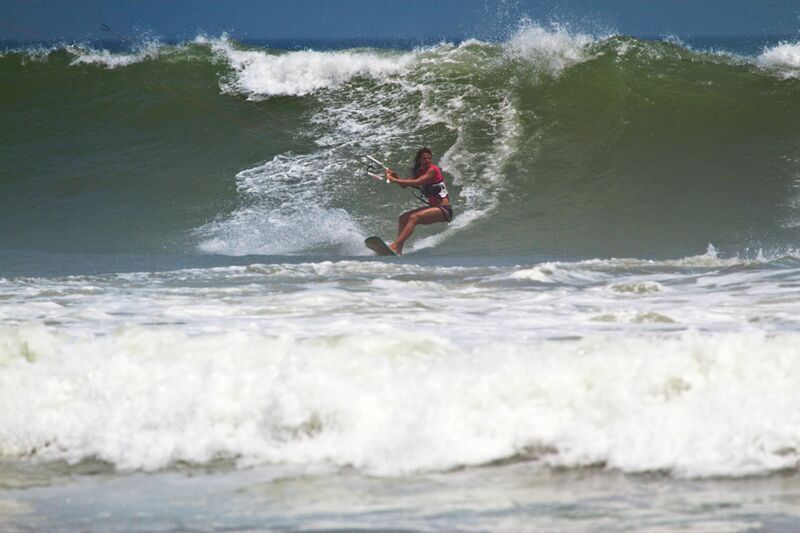 Novo Campeche, Iberaquera are cool waves spot and not too crowded. 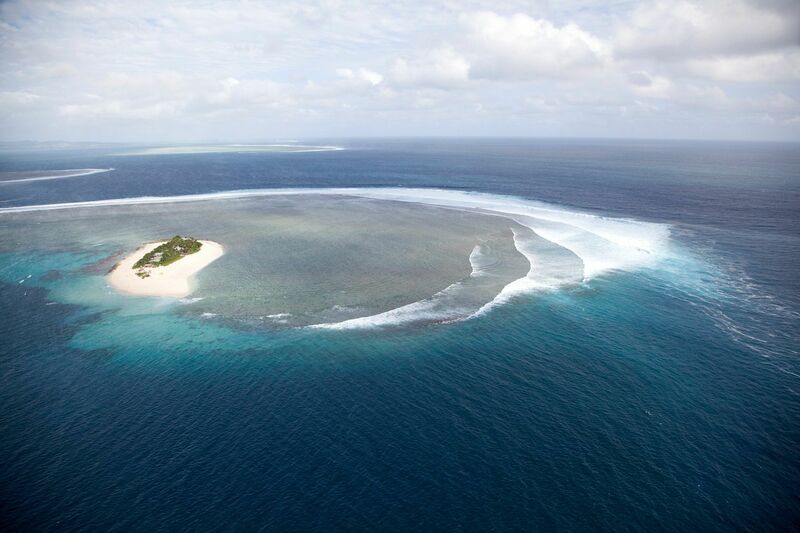 The island has around 80 beaches most of which you will be the only person on the beach! Plus, you have the city of Florianopolis which is a fun and safe city. It is said that the region Santa Catalina is where the most beautiful people of Brazil are from. 10km approximately southern to American surf capital Santa Cruz you get Scott creek & more famous Waddell creek receiving good swells. South swells magnet spots, but can also big north swells. 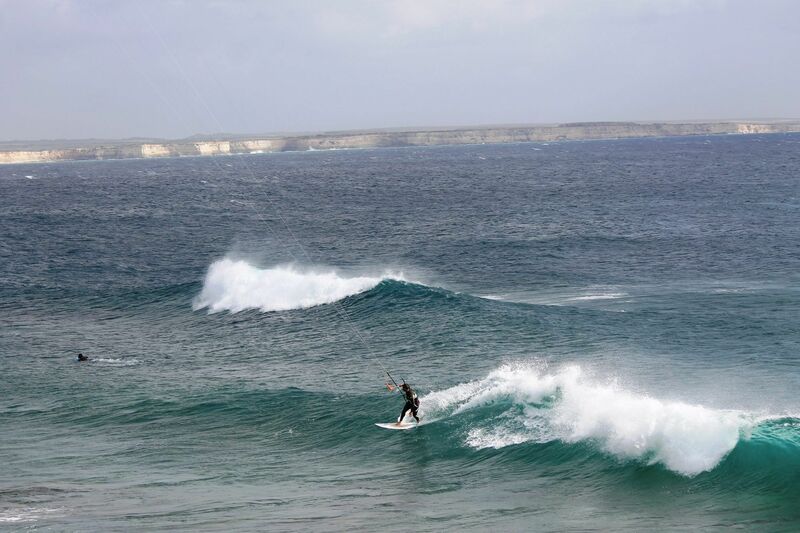 There are a lot of waves to surf and kitesurf in Chile, most famous one for kitesurfing Roca Cuadrada in Matanzas. Cabarete is clearly a sweet destination for a relaxed kitesurf holiday, especially if you are looking for riding waves in board shorts in the heart of winter. Caribbean style. You might not have the perfect conditions every week. For whoever likes an adventure, desert, and a unique kitesurf destination where you won’t find too many crowds and at the same time get consistent wind, and nice easy waves, Oman seems a good option. A safe place although being in the Middle East! In a word you are dreaming of other horizons, warm transparent water, palm trees, with those perfect waves unrolling indefinitely just for you and a few friends. 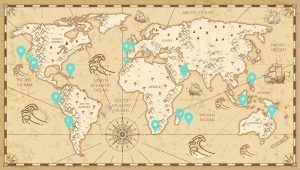 There are a multitude of spots all around the world, and I am sure that you already have your list for future trips. Because travelling is the one of the best aspects of kitesurfing, add waves to the wind factor, and it is now becoming a true search! Those perfect days exist somewhere sometime, but still a various factor will play when you go far away chasing the ultimate wave riding conditions. There are ways to avoid disillusion. I will not say “do not expect too much and always have fun no matter what the conditions are” because I live in front of a perfect spot and I understand my guests’ high expectations and impatience when they have traveled half the world to get here. Although you can never remove Mother Luck from any surf trip formula, there is a series of wise choices to make before selecting your next trip destination. 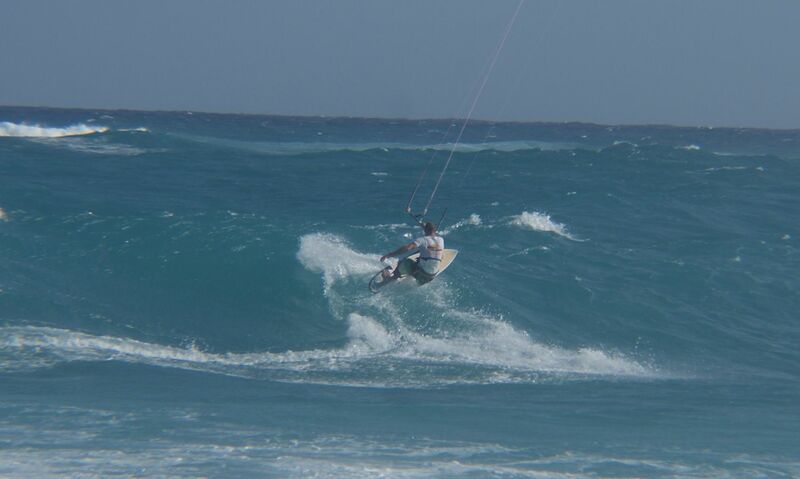 That is why in a future post I’ll give you 10 tips to achieve the wave kitesurfing trip of your life. Hey Axel, that’s a pretty awesome list! Can’t really think of any other kitespots to add, but maybe Jupiter in Florida would deserve a spot. Good sized waves (mid high to over head high) in winter season, November to about March. It’s a treat! Saved to my bookmarks automatically ???? Wich one would you choose in terms of money/ fun value/ wind consistenty? Well, I concur with the others; Great Job!! 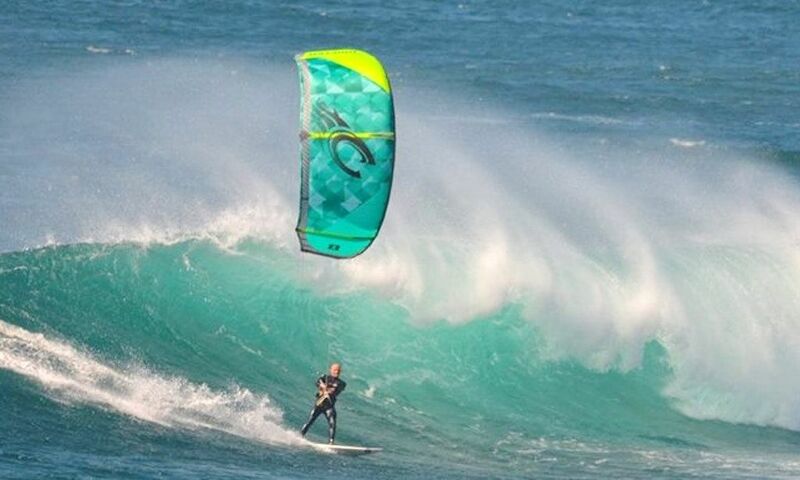 I actually found it pretty hard to find many Kitesurf destination reviews that were really surf oriented that when they say “waves” actually have strapless surfboard riders in mind! I used your list to help me finalize my winter vacation trip, so I thought I’d give you some feedback to contribute to the cause and try to pay it forward a bit. I picked Barbados for the wind consistency, warm water and relative ease to get to from the US west coast. It was between Barbados and Cabarete, but I picked Barbados for what sounded like better wind consistency. I think that ended up being the right choice. I ended up going for 2weeks the last week of Feb through the 1st week of March. Overall, the details of your review on the spot were on point and the choice worked out great. The wind here was consistent and I got about 8-9 of my 12 full days there on the water. Plus, most of those days were 2-3 sessions per day because unlike other thermally driven wind spots, the trade winds blow basically around the clock. However, I found that the wind was kind of weak for the speed. I almost didn’t bring my 12m based on the forecast of >20mph every day, but I ended up spending almost the whole time on it. As a side note, my home spot is also on your list, Santa Cruz. You’ve also got the details pretty solid on that one, but at some point I may shoot you some additional thoughts if they’d help out. For instance, at home, the wind is much colder than Barbados, so I might be on my 10 or even 8m for the wind speeds I was on my 12 at in Barbados. The waves were kind of mushy chest high short period almost wind chop, but every now and then there’d be some nice head high to over head sets that gave some of the best left handers I’ve been able to truly drift down the line on. I’m goofy footed, so fun frontside turns. At home, they’re pretty much all rights and in summer are also generally pretty small short period swells vs the hige double to triple over head ground swell we can get in Spring and Fall (but less consistent wind than in the summer months). 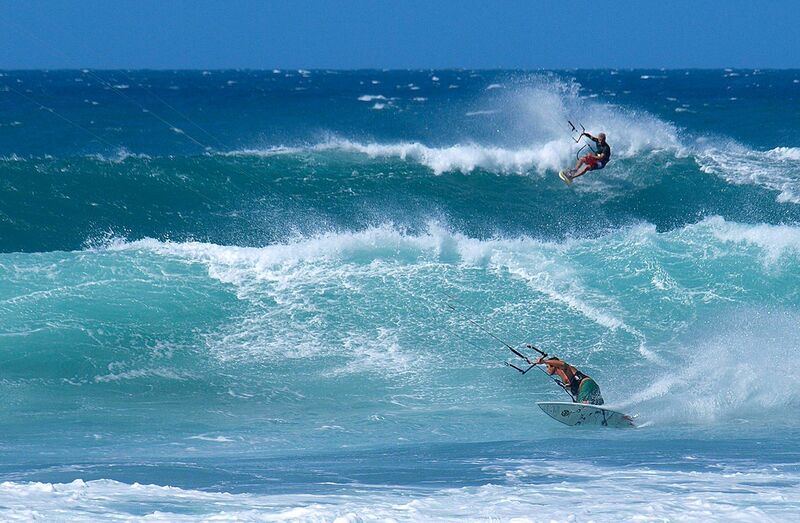 The waves in Barbados weren’t very powerful, which would be good for beginner wave riders. At home, they much more powerful. The water is amazing; warm and clear. From time to time a couple turtles would even pop us as you crushed by. Unfortunately though, they tend to have this super annoying sea weed that hangs onto your fins. Some days there was almost none, but others it was almost unrideable. Apparently at times, it can hang around for a while and really kill people’s trip, so all-in-all, I guess I was pretty lucky, but something others might want to keep in mind. The main kite beach, Silver Rock, is pretty small and gets crowded in the afternoons, but you can get sessions in while most people are having breakfast and again at lunch where you almost have the water to yourself. I wouldn’t recommend it for true beginners as there’s not a lot of beach downwind to catch you, unless you come out farther down at Silver Sands or “Rescue Beach” and walk back up the road as the sandy beaches you can walk isn’t continuous; there are rocky cropings/houses you can’t really get around along the water, so you have to go inland. Up farther up the road though is Long Beach. I didn’t launch from there, but did a long upwinder to try and check it out. It looks better if you want more beach to work with and less people, but it’s not well protected by the reef, so you have to deal with waves right on shore, which, again, isn’t great for beginners. I stayed at the Moonraker hotel/apartments, which was down near “Rescue Beach”. It was a decent place at a good price, but if did Barbados again, I’d stay somewhere closer to Silver Rock beach or/and rent a car. I underestimated the walk from where I stayed to the main kite beach. Having to haul all my stuff up to Silver Rock was a pain, especially if you weren’t sure what kite size to take. 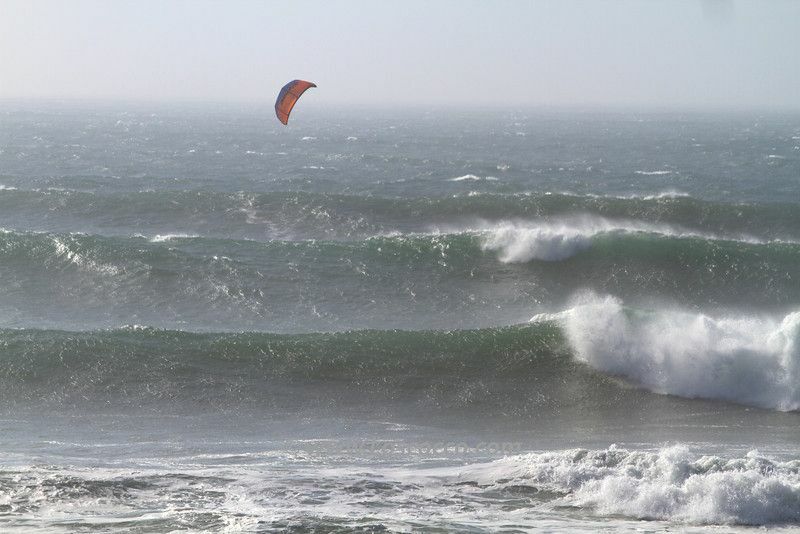 A few times I had to make multiple trips back and forth because I hadn’t figured out the “weakness” of the wind and was being overly optimistic about being able to ride my preferred smaller surf kites. The experience got better when I finally conceded to just taking the 12m and dealing with being a bit overpowered on occasion. Another thing to note is that there’s a pretty decent current going in the direction of the wind along the reef. This reduces your effective wind speed by a few knots, so people should keep that in mind when picking their kite sizes. Furthermore, between the current, the side-on wind direction and the reef where the waves are breaking being ~500m off shore, of you loose your board out there, it may never come back to land, at least not in Barbados. I heard a couple guys saying they lost their board. I didn’t need it luckily, but the locals gouge you for a boat rescue or lost board/kite recovery. I hope this, as much or as little of it, helps you and others! I’m going to keep using your list of spots to plan future trips. I think next will be Punta San Carlos this fall. 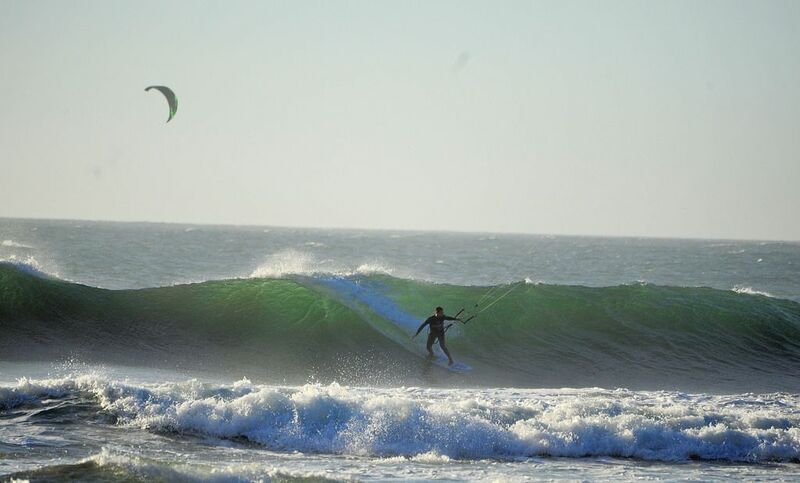 I was in Peru in 2013 and spent a few days in Vichayito, but I wasn’t kiting at the time, so at some point I’m going to make the trip down there to ride some waves for sure.